Amartya Kumar Sen (e bengaleg: অমর্ত্য সেন) a zo ur prederour hag un ekonomour indiat. Ganet eo bet d'an 3 a viz Du 1933 e Santiniketan e Bengal ar C'hornôg, India. E familh zo a orin eus Dhaka (e Bangladesh bremañ). E dad, Ashutosh Sen, a oa kelenner war ar gimiezh e Skol-veur Dhaka. Kas a reas e familh da Vengal ar C'hornôg e 1945. Labourat e reas e meur an ensavadur Stad. Mamm Amartya, Amita, a oa merc'h da Kshiti Mohan Sen, un den brudet evit e ouiziegezh war India en Henamzer hag er Grennamzer ha tost-kaer eus Rabindranath Tagore. Eil kañzeller Skol-veur Visva-Bharati a voe e-pad un toullad bloavezhioù. Kregiñ a reas Amartya gant e studioù e Skolaj Sant Gregor (St Gregory's School) e Dhaka e 1940. Adalek diskaramzer 1941 e studias er skol stag ouzh Skol-veur Visva-Bharati. Mont a reas goude da "Presidency College" e Kolkata, gounit a reas ur B.A. (diplom Bachelor of Arts) en ekonomiezh. E 1953 e yeas da Drinity College e Cambridge, un eil B.A. en ekonomiezh en doe eno e 1955. Pa oa c'hoazh ez ofisiel o prientiñ e bPh.D. (doktorelezh) e Cambridge (daoust dezhañ bezañ tost echu e imbourc'hioù e 1955-56 e voe kinniget dezhañ bezañ Kelenner ha Penn Rann an Ekonomiezh e Skol-veur nevez Jadavpur e Calcutta. Seveniñ a reas ar garg-se etre 1956 ha 1958. E-keit se e voe dibabet evit ur "Prize Fellowship" e Trinity College. Gellout a reas ober ar pezh a felle dezhañ e-pad pevar bloaz. Dibab a reas studiañ ar brederouriezh. An dibab-se a voe a-bouez-bras evit e labourioù da-heul. Abaoe 1972 en deus labouret ha kelennet er Rouantelezh-Unanet hag er Stadoù-Unanet. Bez eo bremañ "Thomas W. Lamont University Professor" ha "Professor of Economics and Philosophy at Harvard University". Kañseller Skol-veur Nalanda eo. Ezel eo eus meur a vodad gouizeien : e Harvard, eus "All Souls College" e Oxford, eus Darwin College e Cambridge hag eus Trinity College, Cambridge. Bet eo bet " Master" (Rener) ar rann skol-veur-se eus 1998 da 2004. Resevet en deus Priz Nobel ar Skiantoù Ekonomikel (pe Priz Nobel an Ekonomiezh) e 1988. Degaset en deus traoù a-bouez da ekonomiezh an hevoud, da deorienn an dibaboù sokial, da hini ar reizhded ekonomikel ha sokial, da deoriennoù ekonomikel a-zivout an naonegezhioù, d'an doareoù da vuzuliañ pegen mat eo stad ar geodedourien er broioù o tiorren, ha da deoriennoù diwar-benn an demokratelezh. Anavezet eo evit stourm kalet evit an hollbouellouriezh, al likaat hag ar gevatalted en India. Resevet en deus titloù a enor en ouzhpenn 90 Skol-veur er bed a-bezh. E 1954 e resevas ar Priz Adam Smith. E 1981 e voe dilennet Foreign Honorary Member an American Academy of Arts and Sciences. E 1982 e voe degemeret evel ezel a enor an Institute of Social Studies. E 1998 e resevas Priz Nobel ar Skiantoù Ekonomikel. E 1999 e resevas ar Bharat Ratna, "uhelañ enor sivil Bro-Indez", gant Prezidant ar vro. E 1999 e voe gaet keodedour a enor Bangladesh gant Sheikh Hasina. E 2000 e voe degemeret "Companion of Honour" ar Rouantelezh Unanet. E 2000 e resevas Priz Leontief Prize gant Global Development and Environment Institute. E 2000 e resevaas an Eisenhower Medal for Leadership and Service S-U. E 2013 e voe graet Komandour Lejion a enor Frañs. Sen, Amartya (1960). Choice of Techniques: An Aspect of the Theory of Planned Economic Development. Oxford: Basil Blackford. Sen, Amartya (1997). On Economic Inequality (kresket). Oxford New York: Clarendon Press Oxford University Press. ISBN 9780198281931. Embannet evit ar wech kentañ e 1976. Adembannet e 1999: Sen, Amartya. Choice, Welfare, and Measurement. Cambridge, Massachusetts: Harvard University Press. ISBN 9780674127784. Sen, Amartya (1970). Collective Choice and Social Welfare (kentañ embannadur). San Francisco, Calif.: Holden-Day. ISBN 9780816277650. Adembannete 1984. Sen, Amartya. Collective Choice and Social Welfare (2nd ed.). New York, NY: North-Holland Sole skigner evit ar S-U ha Kanada Elsevier Science Publishing Co. ISBN 9780444851277. 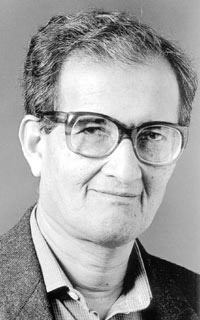 Sen, Amartya (1985). Commodities and Capabilities (1st ed.). New York, NY: North-Holland Sole skigner evir ar S-U ha Kanada Elsevier Science Publishing Co. ISBN 9780444877307. Adembannet e 1999 : Sen, Amartya. Commodities and Capabilities (2nd ed.). Delhi New York: Oxford University Press. ISBN 9780195650389. Adembannet e 2003 : Sen, Amartya. "Inequality Reexamined". Oxford Scholarship Online (Oxford University Press). doi:10.1093/0198289286.001.0001. Sen, Amartya; Drèze, Jean (1995, 1998). India: economic development and social opportunity. Oxford England New York: Clarendon Press Oxford University Press. ISBN 9780198295280. Sen, A.K. ha Drèze, J. (1989). Hunger and Public Action. Oxford University Press. Sen, A.K. ha Drèze, J. (1991). The Political Economy of Hunger. 3 levrenn. Oxford University Press. Sen, A.K. ha Drèze, J. (1995). The political Economy of Hunger: selected essays. Clarendon Press. Sen, A.K. ha Drèze, J. (1997). Indian Development: Selected Regional Perspectives. New Delhi: Oxford University Press. Sen, A.K. ha Drèze, J. (2002). India: Development and Participation. Oxford University Press. Sen, A.K. ha Drèze, J. (2013) An Uncertain Glory, India and Its Contradictions. Penguin. Sen, Amartya; Suzumura, Kōtarō; Arrow, Kenneth J. (1996). Social Choice Re-examined: Skrid eus ur c'hollok eus an IEA dalc'het e Schloss Hernstein, Berndorf, e-kichen Vienna, Aostria. New York, NY: St. Martin's Press. ISBN 9780312127398. Sen ,Amartya (2005) troet gant Monique Bégot ; "La démocratie des autres", troidigezh div destenn ("Democracy and its Global Roots" bet embannet e 2003 e The New Republic ha "Democracy as a Universal Value", testenn ur brezegenn bet distaget e miz C'hwevrer 1999 e New Delhi) Editions Payot, ISBN 2-228-89952-6. Kemmoù diwezhañ degaset d'ar bajenn-mañ d'an 24 Gen 2015, da 19:53.